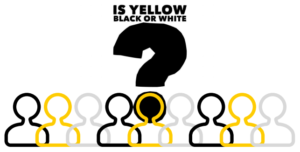 Based on the research of Professor Gary Okihiro, Dr. Daniel D. Lee of Fuller Seminary’s Asian American Center (AAC) explored the question: “Is Yellow Black or White?” in a lunch seminar hosted by the Racial Justice Initiative and AAC. From the transcontinental railroad to agriculture in California’s central valley, Asian Americans played a crucial role in the formation of our nation. So why, then, does the American popular imagination so lack the voices of Asian Americans? In his chapter, “Is Yellow Black or White?”, Gary Okihiro points out that the history of Asians in America is a history of indentured servitude, racialized oppression, and solidarity with other marginalized peoples. Hi my friend! I want to say that this article is amazing, great written and come with almost all important infos.